UPDATE 11/12/15: Those extra 3 bands have now been announced. 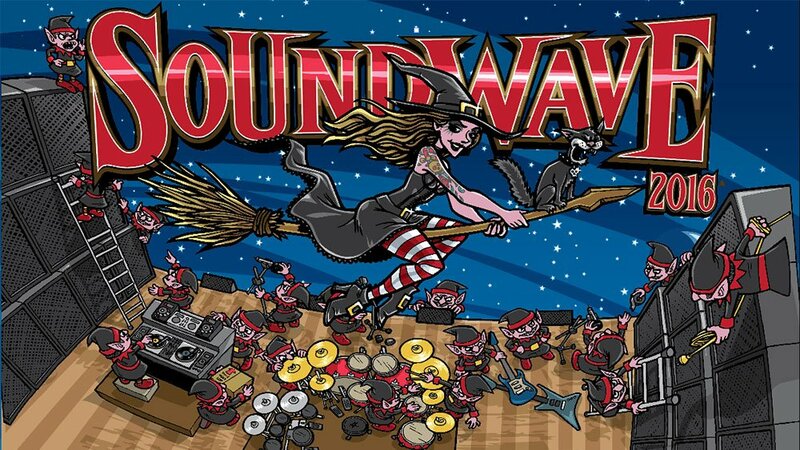 There are already 24 bands on the Soundwave 2016 lineup but another drip-feed is set to come tomorrow with festival head AJ Maddah promising another three bands. “We’re announcing a further 3 bands on Friday,” Maddah said to a fan on Twitter without giving any hints of who will be added. Currently the bill includes Disturbed, Killswitch Engage, Bring Me The Horizon, The Prodigy and more. There is still one big band that Maddah is trying desperately to get them to sign on the dotted line but he told Twitter followers that he’s not yet been successful. He said that he’s working on their visas right now just in case they sign on at the last minute. Presumably, this will be another headliner. One lucky guy already knows one of the bands on the lineup. It’s his 21st this week apparently and Maddah agreed to tell him one of the acts yesterday as a present. The punter is using his special information to tease fans, joking that your ’90s faves will be one of the bands joining the festival. “It will be Hansen playing ‘Mmm Bop’ 14 back-to-back times,” he wrote. We’ll have to wait until tomorrow to see if Hanson are one of the three bands on the lineup. There’s no word on when to expect the extra names but knowing Maddah it will be wildly unpredictable. In the meantime check out tall the latest SW16 news over at the Soundwave 2016 Feed and learn all the ins and outs of the festival’s new Soundwave Rewards program right here. @martyroots I am going to announce 1 band to the birthday guy. We'll announce 3 publicly on Friday.